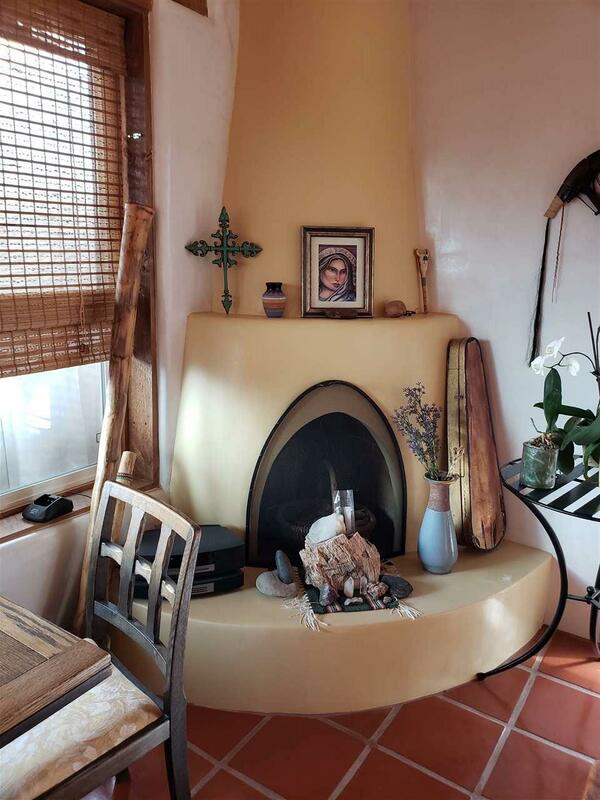 Sunny pueblo style home with saltillo tile and lovely vigas, kiva fireplace and cute Mexican tile in the desirable Vista Linda neighborhood. 2 bedrooms, 2 baths, 2 room walk-in closet off the master bedroom. Workshop or studio room with separate entry. Courtyard walls for privacy, enclosed to keep pets contained. A flagstone patio for outdoor living. 2 car attached carport. 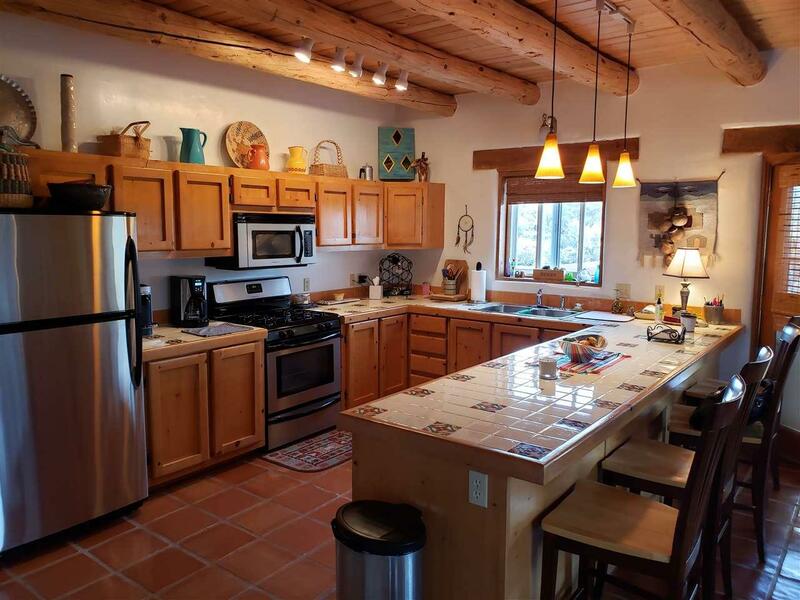 Radiant floor heating, new well pump and new water heater in 2019. New stucco in 2016. 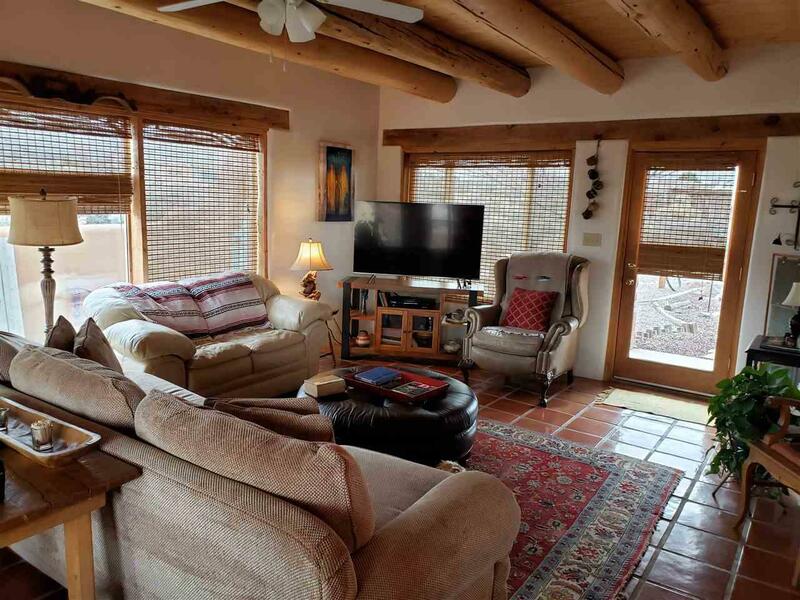 Great room has large windows on 3 sides for solar gain. Beautifully maintained. 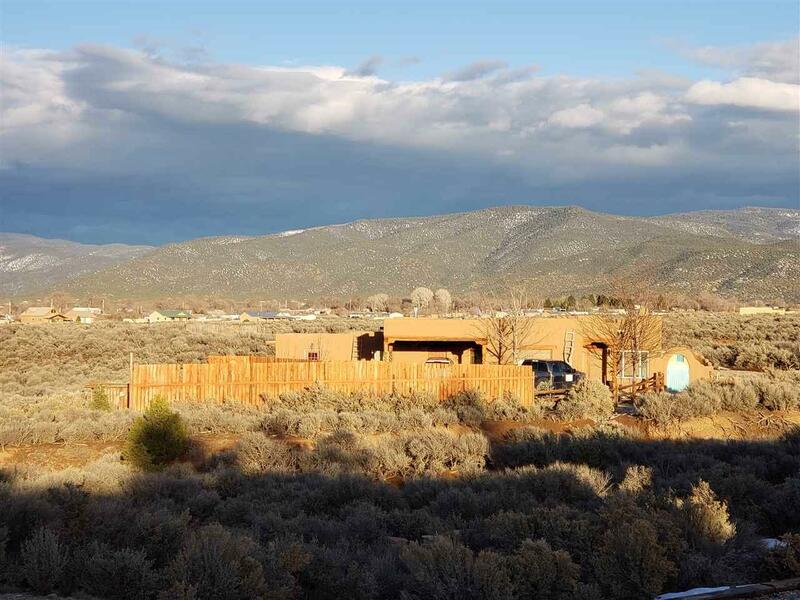 Secluded location on a dead end drive, nestled in the rolling sage, with Taos Mountain views. Located near UNM and the Taos Country Club, Rio Grande del Norte National Monument access is at the end of County Rd 110. Roads are privately maintained, $200 per year fee.